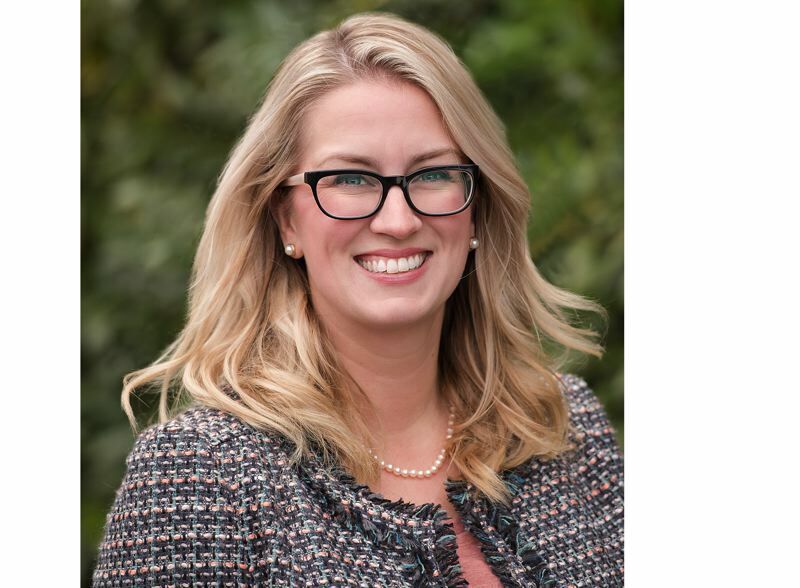 Jennifer Brownlee of Happy Valley has been accepted into this year's Emerge Oregon program that trains Democratic women in how to win public office. This year's Emerge Oregon class is the largest yet at 34, and the seven-month program typically has only taken about 25 women a year since its founding in 2009. "I am honored and excited to join this group of women, and I'm excited to see what the future holds," Brownlee said. Brownlee, 36, was inspired to enter politics by her mother Sarah (Dunn) Bushore who was on the Beaverton City Council as she was growing up. Brownlee and her husband received a major wakeup call from the 2008 housing crisis, which she says hit her family especially hard. In the past few years, she's been "terrified by how the political landscape has changed" and says people need to step up and do something about it. Brownlee said she has always had a strong need to serve her community through volunteering. Her activities include volunteering for Clackamas Bookshelf, serving on Happy Valley's Traffic & Public Safety Committee, hosting National Night Out block parties and organizing several voter registration drives at local high schools. She's applying for a seat on the Happy Valley City Council to fill the remaining two years in Position 4, which was vacated with the election of former councilor Tom Ellis as mayor. "I'm eager to begin the appointment process, and I hope to be appointed to the Happy Valley City Council in March," Brownlee said. "I hope to bring a new voice and perspective that is currently missing, as a woman and mother of young children." Emerge Oregon graduates include a long list of powerful women in state and local politics. Oregon Labor Commissioner Val Hoyle is the first Emerge graduate to hold statewide office. Emerge grads Shemia Fagan of Happy Valley and Rachel Prusak of West Linn unseated incumbents last year and were sworn in last week to their new positions in the Oregon Legislature, joining fellow alumnae and State Reps. Karin Power of Milwaukie, Teresa Alonso Leo of Woodburn, and Alissa Keny-Guyer and Jennifer Williamson of Portland. Emerge alum Kathy Wai was elected to the North Clackamas School Board before being appointed recently by the governor for a seat on the TriMet board as well. Emerge alums Shirley Craddick and Christine Lewis are on the Metro Council. Washington County Chair Kathryn Harrington, Multnomah County Auditor Jennifer McGuirk, Multnomah County Commissioner Jessica V. Pederson, Clackamas County Commissioner Sonya Fischer and Clackamas County Circuit Judge Ann Lininger graduated from the program. At the city council level, Angel Falconer of Milwaukie, Renate Mengelberg of Oregon City, Jules Walters of West Linn, Lacey Beaty of Beaverton, and Olivia Alcaire and Beach Pace of Hillsboro all graduated from the Emerge program. Emerge Oregon's Class of 2019 celebration is scheduled for 5 p.m. Friday, Jan. 25, at Cerulean, 1439 N.W. Marshall St., Portland. Tickets are $35. Residents who have lived in Happy Valley for a year and are registered to vote are eligible to apply for the vacant City Council position. Applications will be accepted until 5 p.m. Feb. 1 at docs.happyvalleyor.gov/Forms/CouncilAppointment. The four remaining City Council members will rank applications and select candidates to interview on Feb. 19 and potentially March 5, if needed.